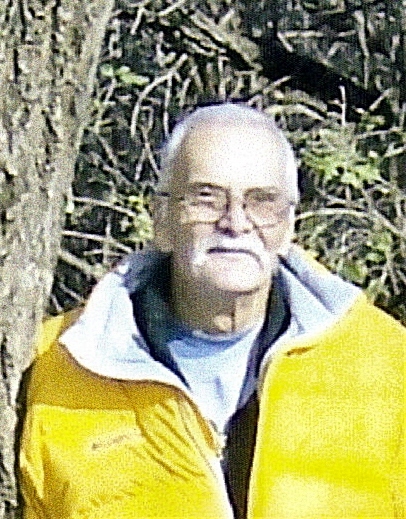 John Edward Cummings, 76, died December 15, 2010 in Sioux Falls. John was born on October 6, 1934 in Sioux City, Iowa, Woodbury County to parents Alton "Pal" and Lola (Burgess) Cummings. John gained his love of working with his hands and not being afraid to try anything from his Dad who was a tinner and jack of all trades. John first served in the United States Army Reserves and then went to Regular Army, where he earned his GED to finish high school. When on leave from El Paso, TX, he was a pit man for Kenny Gagdon. While visiting Sioux Falls, SD he flirted with a young woman, by the name of Nancy Schneiderman. It was love at first sight; this was 54 years ago, on August 12, 1956. After John served his country, he and Nancy moved to Sioux Falls to start their family. He went to work for Raven Industries in May of 1957 and retired January of 1999. He started out on the balloon tables, building boxes for shipping the balloons and then building sewing tables for the new sewing department. From 1967 to 1989, he became the sewing machine mechanic, for the commercial sewers department in Sioux Falls and the surrounding plants in the state of South Dakota. The last ten years of his career he worked in the machine shop. He liked going camping with the family. He loved hunting, fishing, and archery. He made his own Black Powder guns and reloaded his brass for hunting. Also, he made his own bow from scratch and loved shooting it in the back yard. During his retirement he became an avid wood carver at the Active Generations and a Member of the SD Wood Carvers. John and Nancy had 4 children, 3 daughters and 1 son; 11 grandchildren, 8 great-grandchildren. He is survived by his wife Nancy and three daughters: Connie (Mike) Hagenbuch of Colman, SD, Jean (Jon) DeVries of Williston, ND and Heather (Terry) Tieszen of Parker, SD; his son's wife Sandy Cummings of Brandon, SD and his brother Ron (Francis) Cummings of Sioux City, Iowa. He was preceded in death by his parents, Alton "Pal"& Lola Cummings, brother Roger Cummings, Uncle John Burgess and son John Dean Cummings. He was a Great Husband, a wonderful Father, a loving Grandfather and Great- Grandfather, a hard worker and good friend. If one of his children was doing a home project he was there pitching in, no matter how far he had to travel. He was a quiet, reserved man, with a sharp wit. During his last months, he always had a positive attitude, he had made his peace. We are here to celebrate his life not his death. John accomplished a lot in his life time. He might not be well known, but he certainly is well loved by those who did know him. We thank God for the time that he was allowed to spend with us. A Memorial Service will be Friday, 2 PM at Barnett-Lewis Funeral Home.